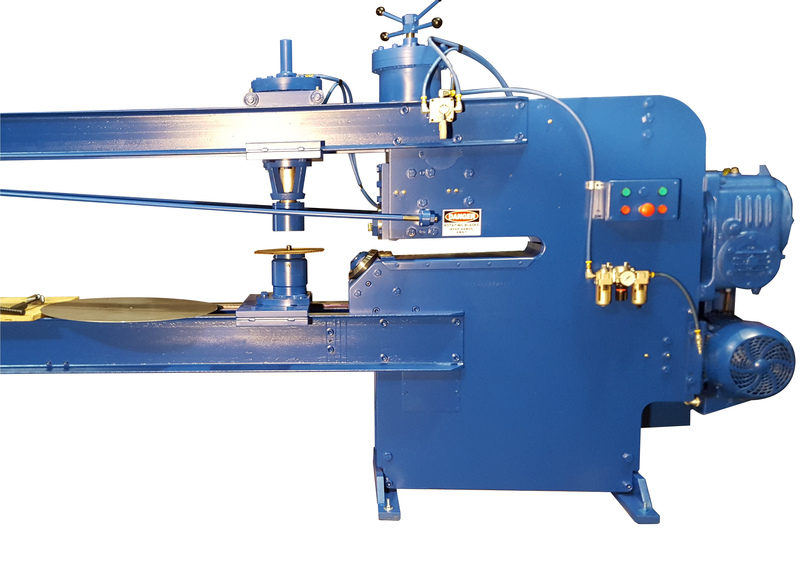 These machines cut circles and rings from a square metal piece. For increased power and efficiency, these Blue Valley models feature two motor driven blades, and achieve a cutting speed of 40 feet (12.2 m) per minute. From the point where the blade penetrates and separates the material, the blank will be sheared in one pass. Models 45 & 45B feature a 1/4" (6 mm) capacity. Models 65 & 65B are rated at a 3/8" (9 mm) capacity. The "B models" offer a larger throat depth than the standard models. This allows the "B-models" to shear work pieces with a larger diameter within the same thickness capacity. Capacities are rated in mild steel. 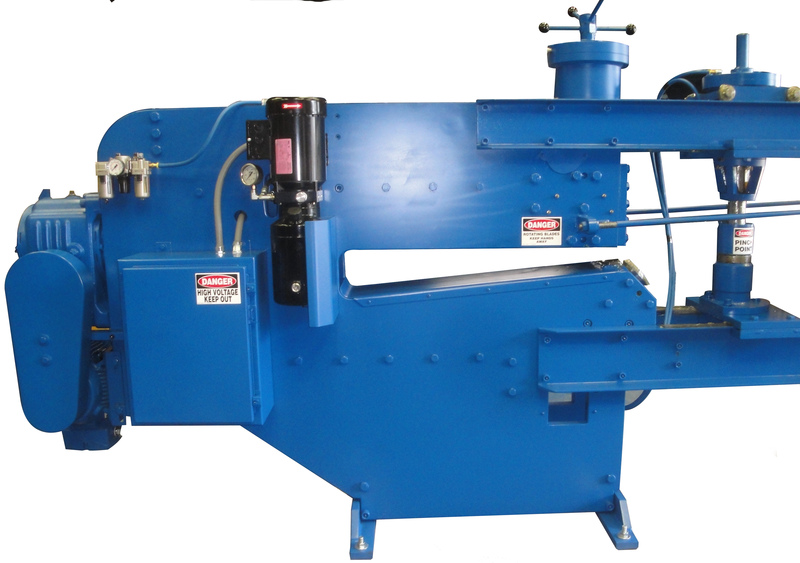 For shearing stainless steel, the machine capacities must be down-rated approximately 40 percent. 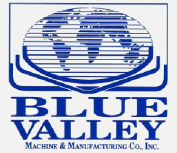 Browse our product pages below or contact us with your requirements and let us help you select the right Blue Valley machine to match your working needs.